Charizard is a trustworthy ally and formidable foe. With its fiery breath and his powerful wings, it will stand against almost anything. 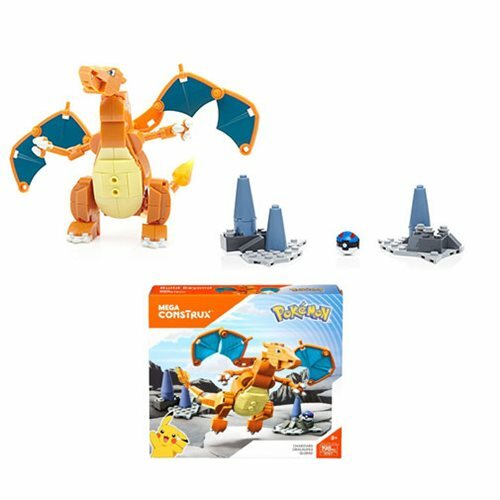 Build your own Charizard and take to the skies with this Mega Construx Pokémon Charizard Playset! Pose it upright or the buildable display stand with its wings ready to take flight! This playset contains a buildable Charizard, a buildable display stand, and a mini Great Ball. Ideal for ages 8 and up.